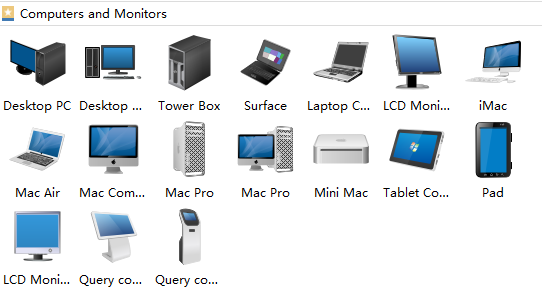 This page extends steps to create a computer network diagram while showing you the templates and libraries of symbols that you might need. 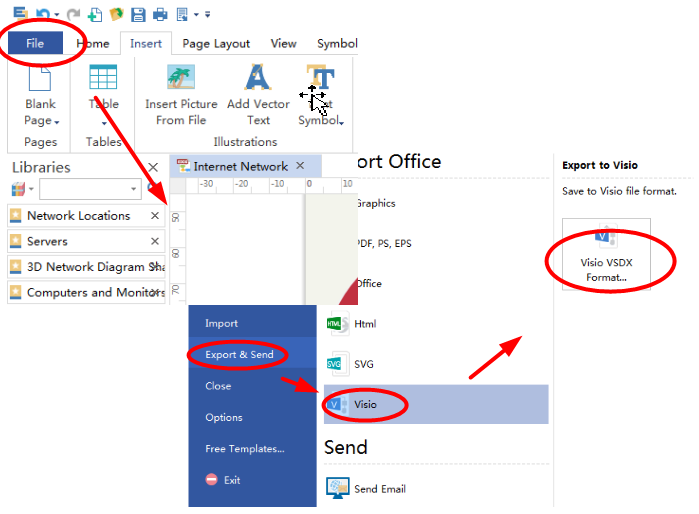 And then how to export the completed diagram to MS Visio. A computer network diagram is the arrangement of the various elements of a computer network. It is a map of the structure of a computer network with different symbols and connectors. This way of showing the layout of a network makes it easier to understand how every device connects with each other. Edraw has a massive capability of providing all kinds of professional network diagrams required. 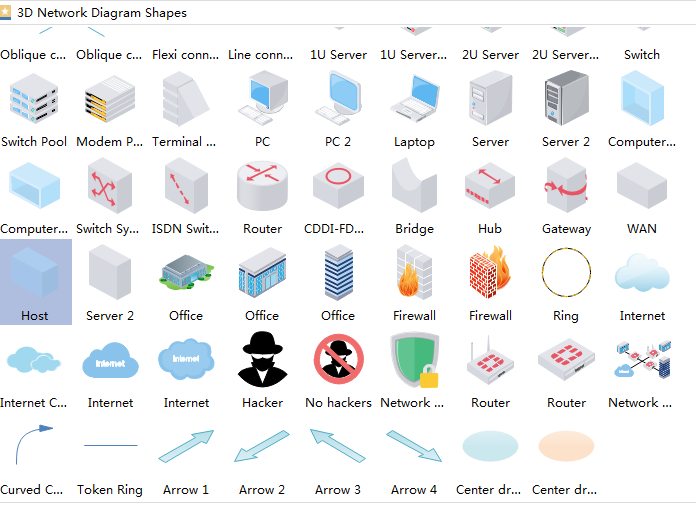 In addition, all diagrams can be converted to MS Visio with just one click of the mouse. This article will show you how to do this. A computer network diagram may include dozens of symbols to represent servers, hubs and routers, etc. 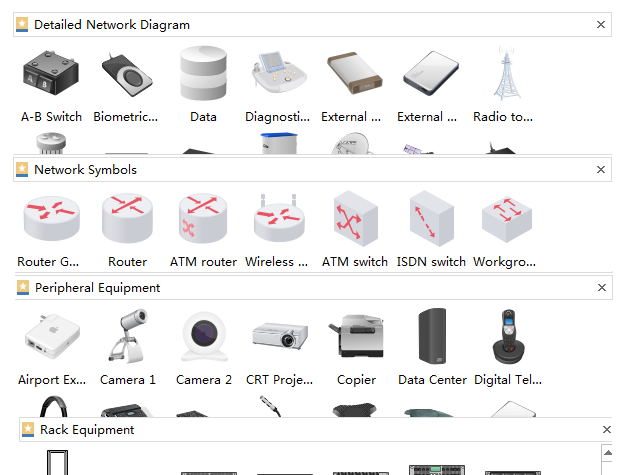 The network diagrams libraries provide all kinds of symbols needed. With a large amount of libraries of symbols, you can create all kinds of network diagrams you need, whether it is for a personal computer or for an entire company network. 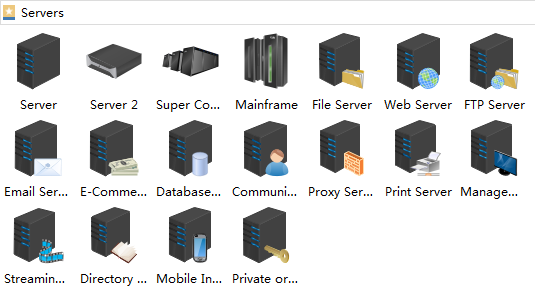 Place all symbols of devices you need on the diagram such as computers and servers. Then add other important components, too. Use connectors with the help of directional arrows to mark out how the computer network is connected. Once you have completed the designing of the computer network diagram, you can convert it to MS Visio. 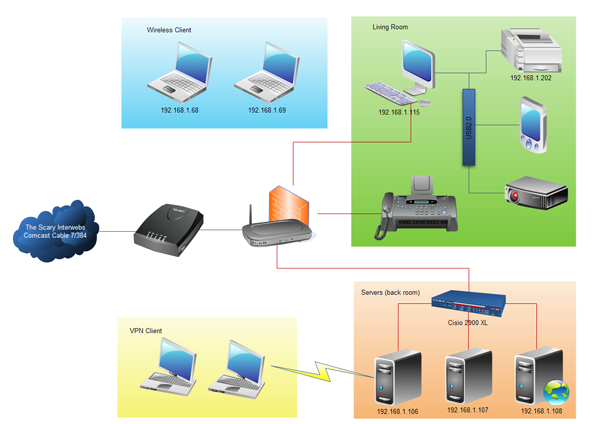 Then you will have a MS Visio computer network diagram. Follow the lead of the red arrows, you will have your computer network diagram successfully exported to MS Visio.